Ladies slip on slipper. In colours pink, purple. Sizes 3-8. 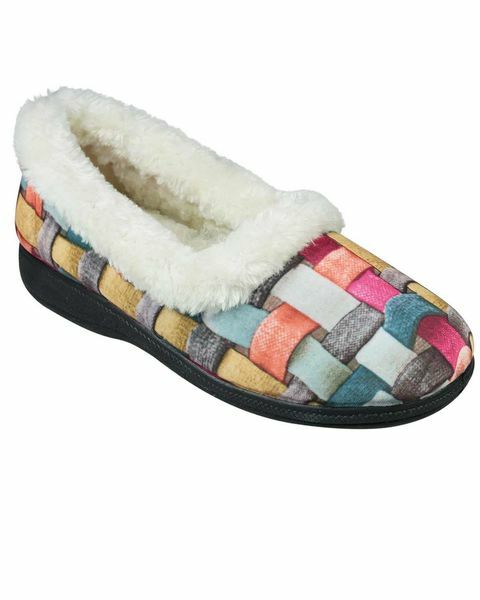 "very comfortable slippers love the unusual pattern---quick delivery tn ..."
Ladies memory foam slip on slipper with fur collar for those cosy nights. Man-made sole. Pretty waffle design. Available in Pink, Purple.